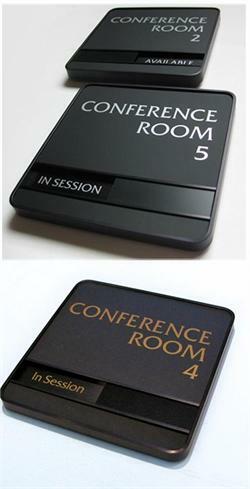 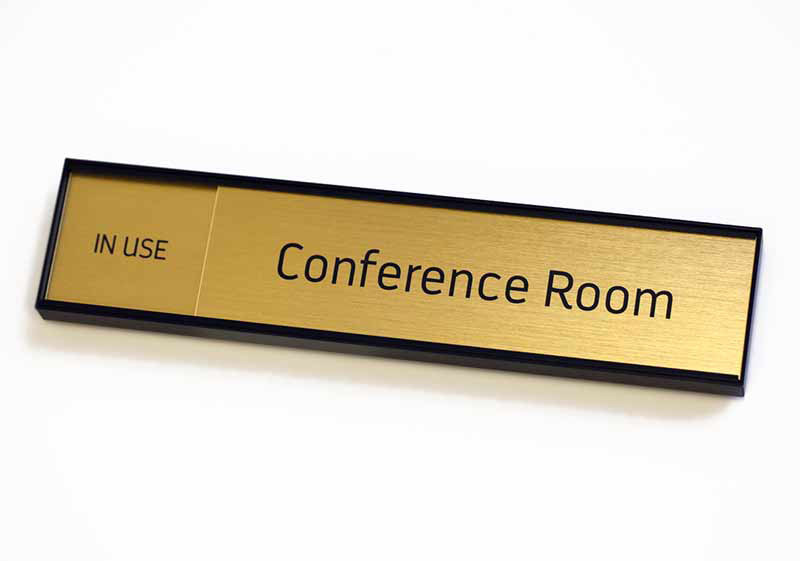 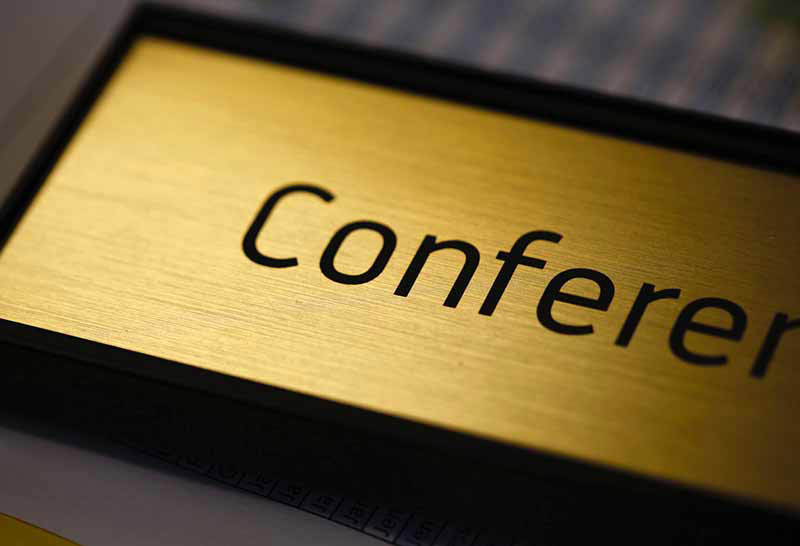 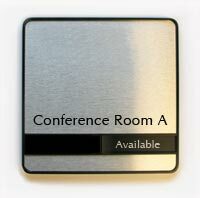 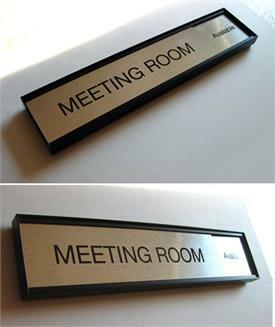 Laser engraved in use sign - Sliding availability office signs for conference rooms and meeting rooms can be customized to include any text you require. 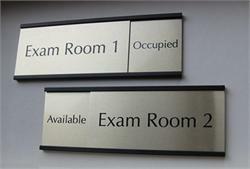 This sign measures 10"W x 2"H with an enclosed architectural metal frame and engraved acrylic plates. 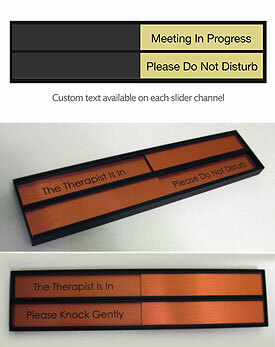 The back plate allows for 2 custom availability messages and the custom top plate slides back and forth to reveal one message at a time. 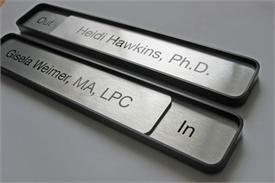 Sign plates are permanently adhered to frame. 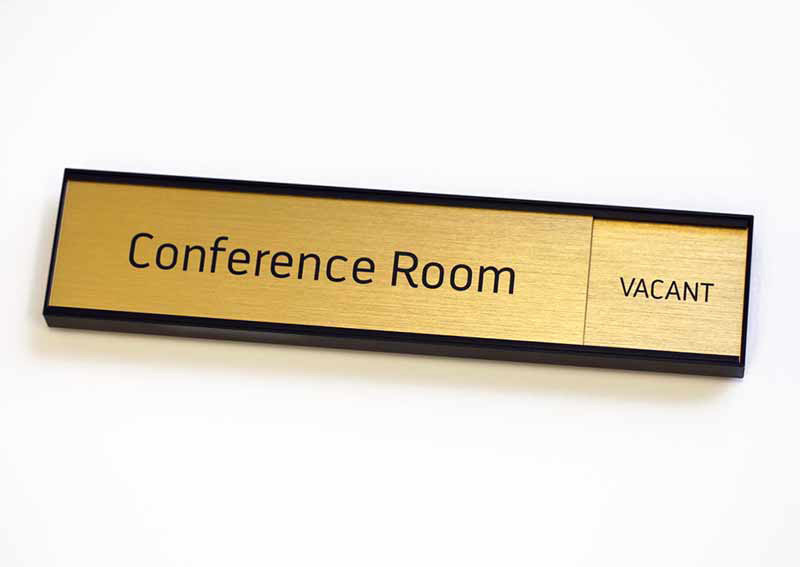 Include employee names, meeting room names, conference room, board room or any other text you need on the top sliding plate. 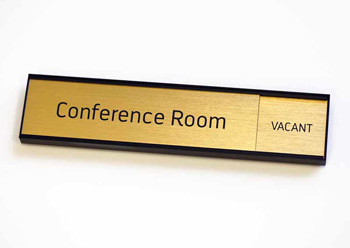 Engraved sliding office signs are available in a wide variety of color combinations to fit with any office decor. 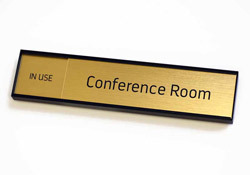 Include custom messages on the left and right tabs such as In Use or Available on meeting room signs, or In or Out on individual employee office signs.